In all likelihood, I've thrown A Darker Shade of Magic at you several times since I read it because it is JUST THAT GOOD. So you can imagine my flailing when the cover and blurb were revealed earlier today! I have to admit I was surprised by this, since I was expecting A Darker Shade of X, considering that the website was called darker-shade.com. (In fact, I was guessing A Darker Shade of Madness. Goes to show that I should stay away from casinos.) Still, the idea of a coven of magicians that the title seems to imply is fantastic. Warning: from this point on rampant speculation shall ensue. Accuracy of takeout not guaranteed. For the US cover on the left, a series of red hands are reaching out for Lila, which is just creepy, but possibly hints at unrest in Red London, the healthy empire. Both covers seem substantially more red, actually, and since red is the colour of magic in harmony in ADSOM, that may be a good thing ... or we might have more blood. Knowing Victoria, my money's on the latter. The UK cover on the right has our best hints so far. Grey London and White London seem to have merged into a single larger circle (although I'm just eyeballing this), so possibly that's where most of the action will take place this time. Besides, with White London falling into anarchy after the death of their sadistic sibling king and queen, there's definitely much room for drama. But more than that, Black London is literally MELTING OFF into the other Londons! (I can't see if this holds true for Red London, since Lila's foot is hiding it, but STILL.) It's breaking off primarily to White London, the adjacent kingdom, so again I have high hopes for the magic-starved white Londoners to clash with the overly-magical black Londoners. Interesting that the Black London stone is mentioned. While it was essentially the inciting incident in ADSOM, I ... sort of forgot about it since the real drama was Kell vs Holland and Danes. So possibly the prominent mention indicates that it's still around and causing trouble ... and note that Holland is "dying", not "dead". Dum dum dum! Dreams haven't played a major role in ADSOM, but it looks like we shall have some visions in AGOS! More than that, we have a new arena in this book: the Element Games. While this might sound like your typical gladiator or Olympic Games, what's really interesting is that it's international. The pirate ship with old friends, of course, indicates our Lila, but perhaps a few more characters to make that "friends" plural? BLACK LONDON FINALLY. To be honest, one of my few issues with ADSOM was that Black London was teased but not really revealed fully. SO WELCOME BACK, DEAD LONDON. I have no doubt that the magic and monsters of this last London will be absolutely horrific and enthralling. Last of all, the ominous prediction that "another London must fall". ADSOM had a fairly happy ending, so I'm not foretelling doom for Red or Grey London just yet. I'm guessing White London, primarily because it was never very strong and honestly, no one would be too sad to see it go. However, I'm not putting it past V to break all of our hearts by taking away our beautiful magical Red London. I believe, however, it's safe to say that Grey London is pretty safe. It's not only the farthest from Black London, it's also Dull London (as Lila calls it), so no one should want to take it out too badly. However, the cover does place it closer to Black London ... pray for our London, peoples. What is going to happen in AGOS? Share your speculations! 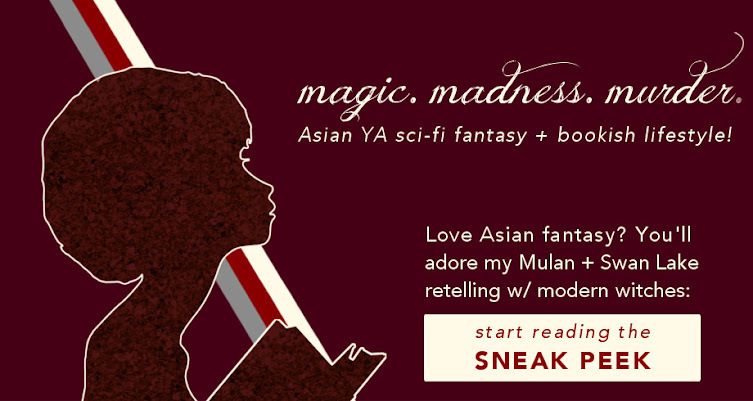 For more behind-the-scenes flailing over books, subscribe to my bimonthly newsletter! note: nothing here belongs to me. I'm just playing in Victoria's and Tor Books' sandpit. Covers and blurb from tor.com. OMG. SO MUCH YES. Your cover interpretations are absolutely killer and brilliant and I'm just AHHHH FLAILING OVER ALL THE PRETTY. Also, I definitely agree with a lot of your predictions—I NEED HOLLAND TO BE ALIVE, plus yaaay Dead London, plus LILA AND HER PIRATE SHIP. Although I do think some other countries were mentioned in the Red London-verse, which means I don't think the Element Games will be inter-universe. Sadly. But anyway EVERYTHING IS AMAZING IN THIS POST AND THANK YOU FOR SPREADING EXCITEMENT AND CAPS EVERYWHERE. I KNOW I KNOW I FLAILED SO MUCH THIS MORNING. The ingenuity of cover designs just amazes me all the time, and I have the highest admiration for the designers. I admit that Holland being alive may just be wishful thinking, BUT THERE ARE HINTS AND WILD MASS GUESSING IS NECESSARY. And oh my, I cannot wait for Lila to get her ship. She's just so awesome. THANK YOU FOR JOINING ME IN MY EXCITEMENT AND CAPS!! Okay, I am having a major conundrum right now: I have the UK cover of ADSOM, but OMG I need the US cover of AGOS! It is seriously the most gorgeous cover I have ever seen. I need a poster of it. And maybe like, a nice bag with it, and a mig, and like, a comforter. And a pillowcase, so I even see it while I sleep. GAHHHH. And the theories... I don't even know where to start! I LOVE the international piece... LOVE. Um, I can't wait a year. Nope. Can't do it. The US cover *is* more gorgeous! Unfortunately I think my impatience means I'll accept whatever cover it's in. I have never actually bought fandom merch before BUT I THINK I WOULD LEGITIMATELY DO SO FOR ADSOM. It's my second book by Schwab, and I didn't completely fall in love with The Archived but ADSOM just won my heart with the premise. I am so desperate for my theories to be true. There is no small amount of wishful thinking here. I think I will legitimately die waiting for this sequel. Okay, I've got to admit that I'm jealous of the US covers. I don't *mind* the UK ones but...they're just not as pretty? I don't know. Maybe I should order AGOS from somewhere else. THE ADSOM FEELS FLOW LIKE THAT RED RIVER IN RED LONDON.